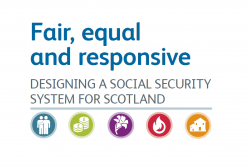 The devolution of new powers represents an opportunity for the Scottish Government to shape a social security system designed with the people who will require support from it at its heart. There are many opportunities presented by the range of powers that are being devolved, which CAS has sought to present throughout this response. Ensuring that people who need support from the system can exercise their rights to be treated with dignity and respect. Giving people a range of ways to access the new system, including a choice of communication methods. Involving users in the design and development of a new Scottish Social Security Agency, to make sure their needs always come first. Substantially reduce the number of unnecessary medical assessments for disability benefits by making the best use of existing evidence. Making changes to the eligibility criteria for carers’ benefits, to provide recognition of the needs of more of Scotland’s full-time carers. Help tackle the growing issue of funeral poverty, by providing a streamlined process for funeral payments which provides financial certainty and a streamlined process to people who need support. Ensuring that Scotland’s citizens have access to independent advice and support to help them receive all the social security support they are entitled to. Achieving this, and much more will be a substantial challenge. However, the potential rewards are great – making a life changing positive difference for many Scots. In this response, Citizens Advice Scotland has attempted to bring the wealth of our evidence and experience to bear to help the Scottish Government truly create a new future for social security.